On May 25, 2018, the European Union’s General Data Protection Regulation (GDPR) will go into effect. This new regulatory framework will have a truly transformational effect on the marketing landscape. This is more than just a new compliance issue. It is a unique opportunity for marketers all across the globe to improve privacy, transparency and brand loyalty. 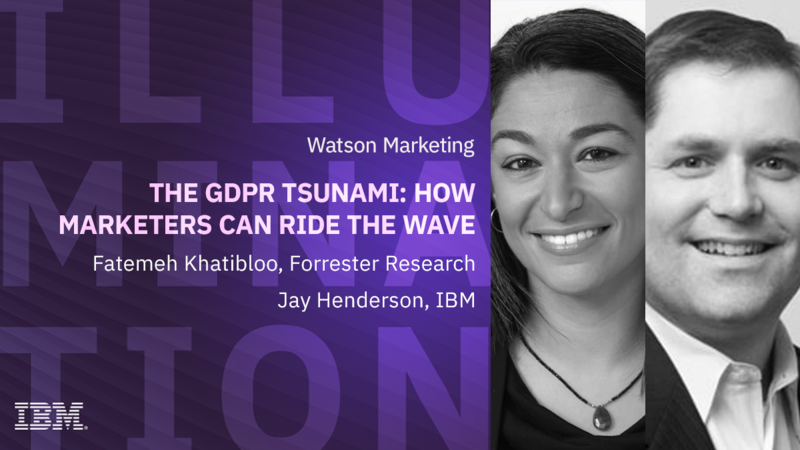 Please join Jay Henderson, Director of Offering Management, IBM Watson Marketing, and our guest Fatemeh Khatibloo, Principal Analyst at Forrester Research, as they help marketers like yourself understand this tectonic shift, address common misconceptions and confusion, and how you can ride the wave to stronger brand loyalty.